I all things that can be logged and automated. For a while I have been monitoring the inside and outside temperature at home, at work and at the cottage. A few weeks ago, I showed a colleague of mine my temperature graphs. She is no stranger of logging, and showed me a bunch of graphs from her weather station. It was pretty obvious what would happen: I just had to get a weather station. With a bunch of sensors, there would be endless possibilities of logging 🙂 As I live in an apartment in Oslo, it is placed at hour cottage. We have mobile broadband there, so I can still get live data. 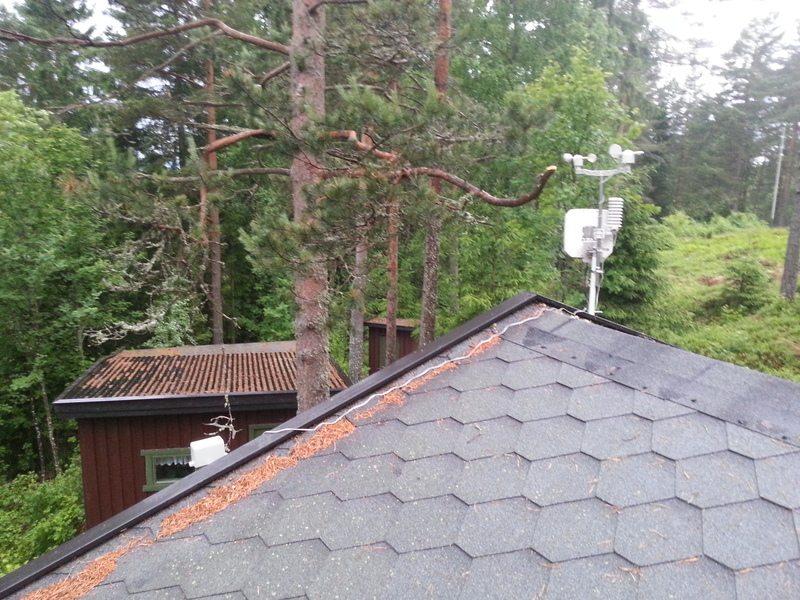 Actually, the weather station is attached to the mobile broadband antenna we already had.